Our countdown of the Most Unwanted arbor pests continues with #8: the Eastern Tent Caterpillar (and a similarly domiciled pest, the Fall Webworm). Although many insects can be difficult to identify – or even detect – the tent caterpillar is not. One day you look at your tree and notice that something has actually pitched a tent there. The tent looks like an industrial version of a spider web: thick, white and slightly opaque. If you look carefully, you may see the newly emerged caterpillars celebrating their good fortune. A single tent is not an infestation – yet. But often, if you continue your examination of the tree, you’ll find that it’s turned into a caterpillar campground. 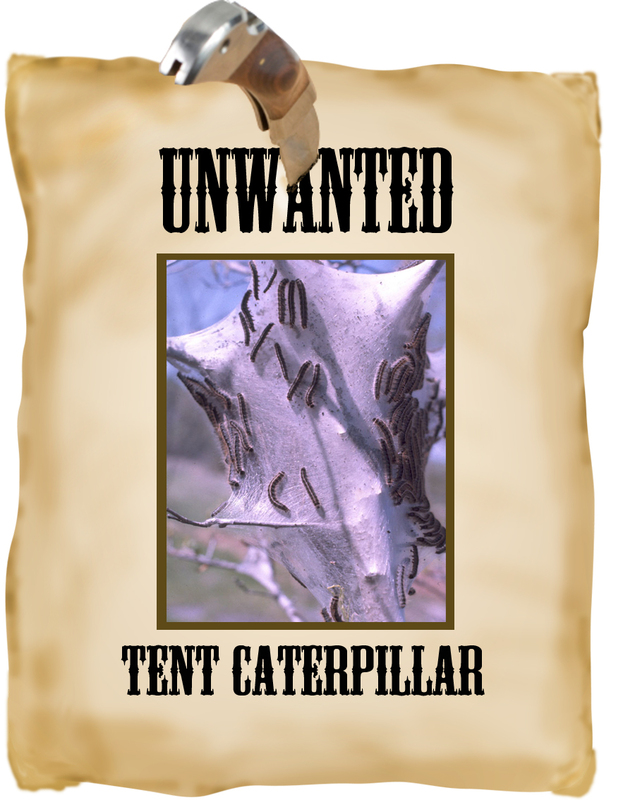 An infestation of tent caterpillars can defoliate – or eventually kill – a tree. These insects are native to our (NY/NJ/CT) region. The larvae emerge in spring and construct a tent for their dormitory. They emerge daily to feed on the leaves of their host tree. Their favorites are black cherry, choke cherry, scrub apple and many species of ornamentals in the family Rosaceae (including serviceberry, hawthorn and many more). A tree with several colonies of eastern tent caterpillars can be completely defoliated by the hungry grazers. Most trees can withstand this for a single season, but a repeated assault can leave the tree without the resources to survive. 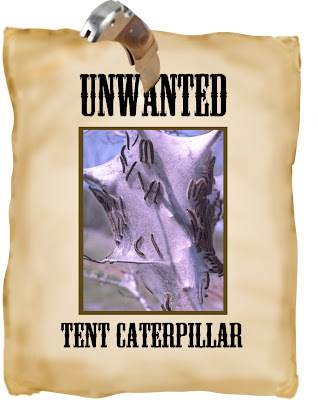 For a residential tree, the unattractive appearance of caterpillar tents and the resulting defoliation are reason enough to try to remove the pests. For a smaller tree, Almstead arborists can selectively clip off the egg masses in the fall, or remove the caterpillar tents in spring. For a large tree, it is more practical to apply a control to prevent the larvae from emerging. Just as tents in your tree in spring usually indicate tent caterpillars, similar tents in the fall are usually a sign of Fall Webworms. Black cherry is their preferred tree but they are also common on alder, apple, beech, birch and oak. In June and July, moths lay their larvae on the underside of leaves and cover them with scales. As the larvae grow, they eat the leaf tops; the tents are expanded as they move to new branches. It’s possible for the tent to envelop an entire tree and for the webworms to defoliate it completely. The webworms don’t typically kill trees, since trees have already stored up most of their nutrients by the time the defoliation occurs. However, the effect can be grotesque. Your Almstead arborist can discuss alternatives for shutting down the tent city in your tree.